NEW! 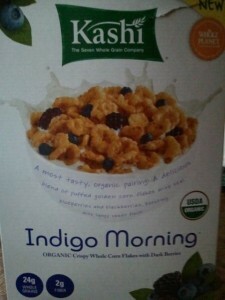 I saw it at Whole Foods, and being the impulse buyer I am, bought this new box of cereal. 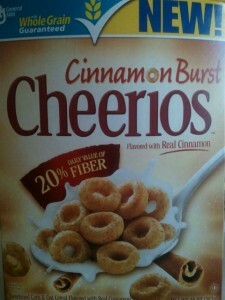 I totally disregarded the fact I already had about, oh, twenty or so, boxes of cereal in my closet (what!? I told you I love carbs! ), and bought it anyway. It looked pretty good. 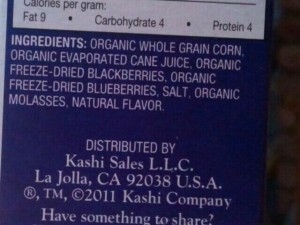 And organic? Count me in! Regardless, here’s a pic of my bowl. The cereal totally hides my bananas, but that’s all good. 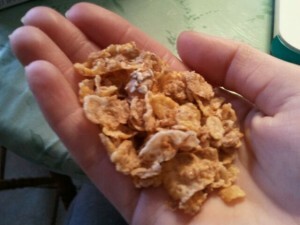 Before I poured the almond milk or added any sweetener, I had a few flakes dry. 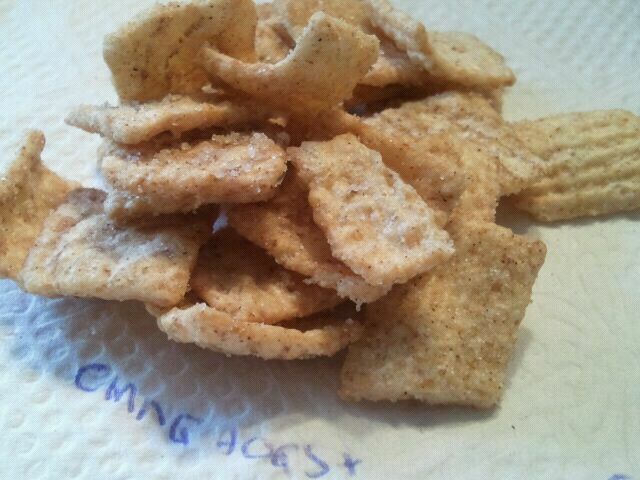 They were light, crispy, and crunchy, but very bland. 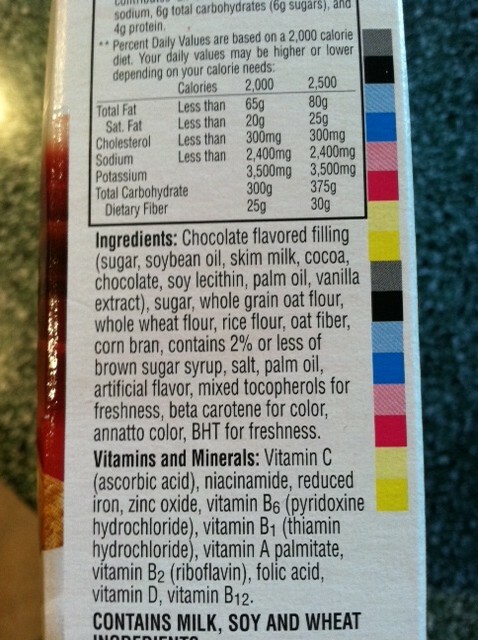 Just a HINT of sweetness, with a predominant corn flavor. 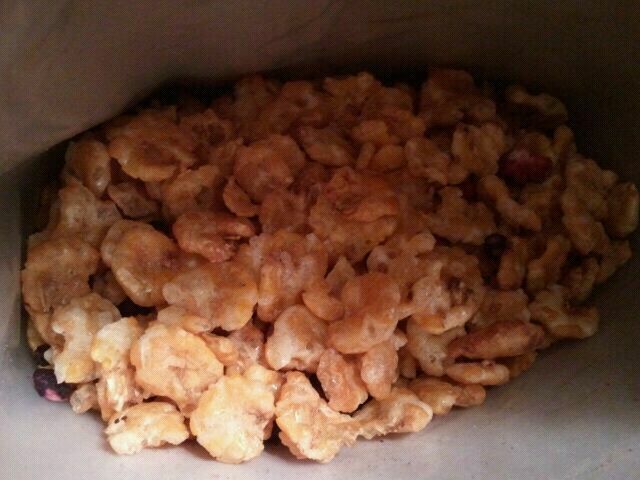 They reminded me of what a puffed up corn flake might taste like. 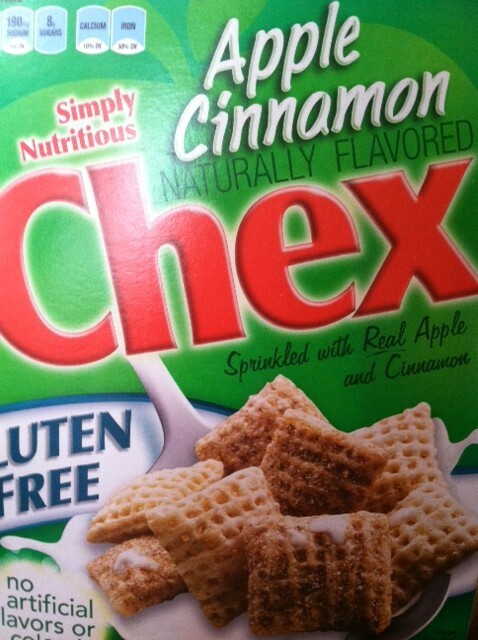 I then tried them in the almond milk, where they proceeded to get soggy very quickly. In fact, I felt as if I went through my milk quicker than usual, and had to add extra to my bowl, as I believe the cereal soaked it all up! 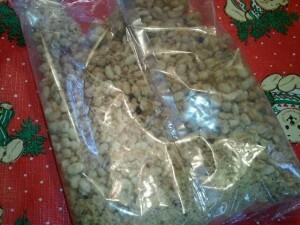 This wasn’t a problem for me since I happen to like soggy cereals (please, tell me somebody else does too!!). 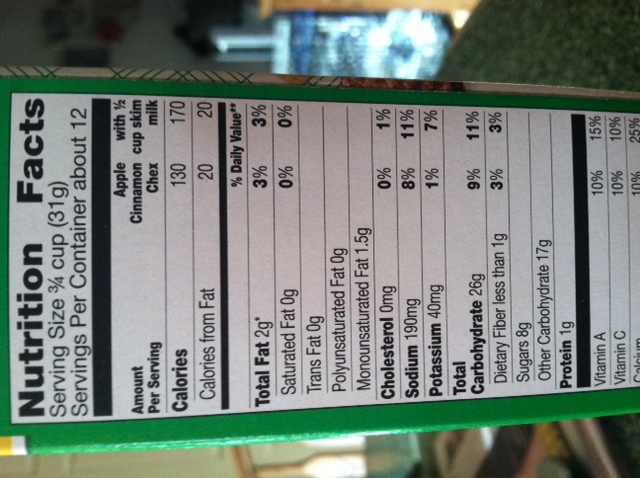 To describe the texture in the milk, it was kind of like soggy potato chips. Weird, but not horrible. However, I had to add some sweetener to my milk to add some flavor to the bowl. The bananas alone wasn’t enough. And the few blackberries that I did have were actually quite good. Tart yet lightly sweet. I was surprised I liked them, since I’m not a big fan of blackberries in general. Do you like your cereal soggy? Or do you prefer to eat it right away? 3/4 cup is 100 calories, 1 gram of fat, 22 grams of carbohydrates, 2 grams of fiber, 4 grams of sugar, and 2 grams of protein. My favorite spice is definitely cinnamon. 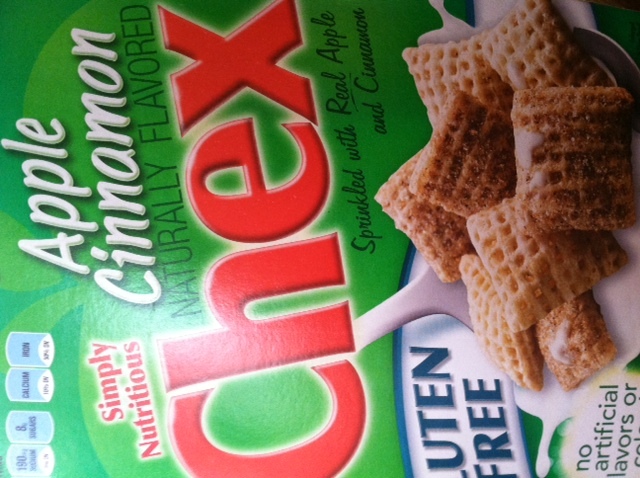 I love that it can be combined with sugar for a sweet treat, or even spicy for that red cinnamon gum. Delicious! 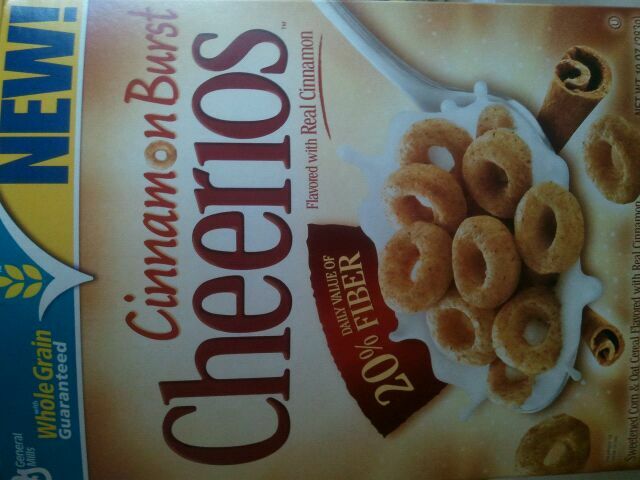 Browsing at the supermarket the other day, I saw Cinnamon Burst Cheerios. 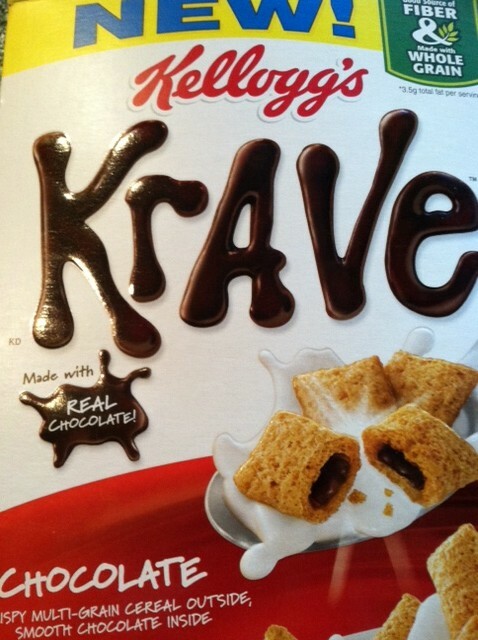 I never tried these before, and they looked really good. 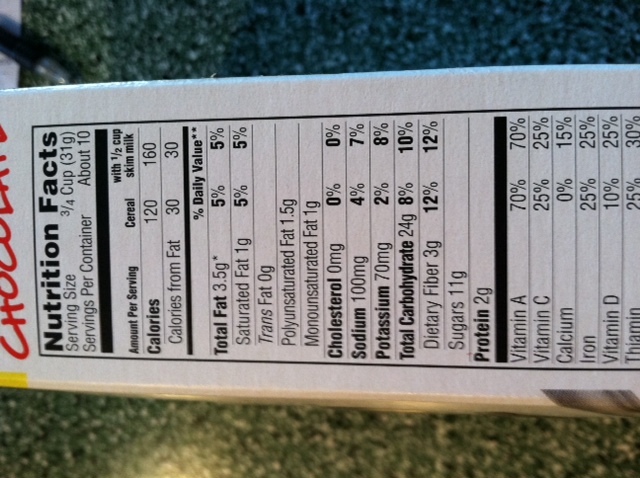 I looked at the stats, and saw that a serving was 1 cup, had 5 grams of fiber per serving, and no HFCS! Sounds like a winner already! 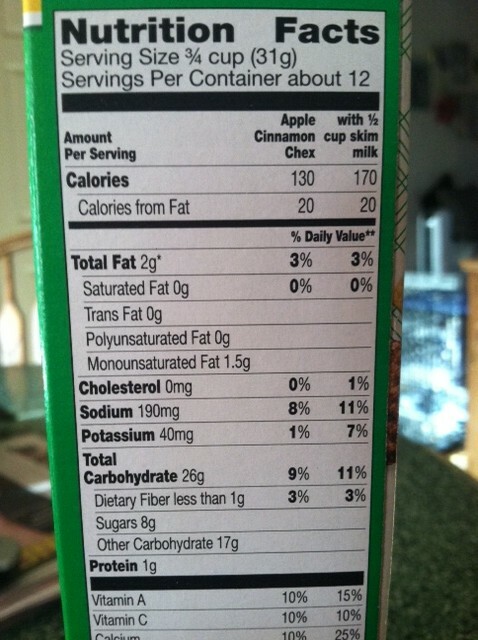 1 cup is 110 calories, 2 grams of fat, 27 grams of carbohydrates, 5 grams of fiber, 9 grams of sugar and 2 grams of protein. 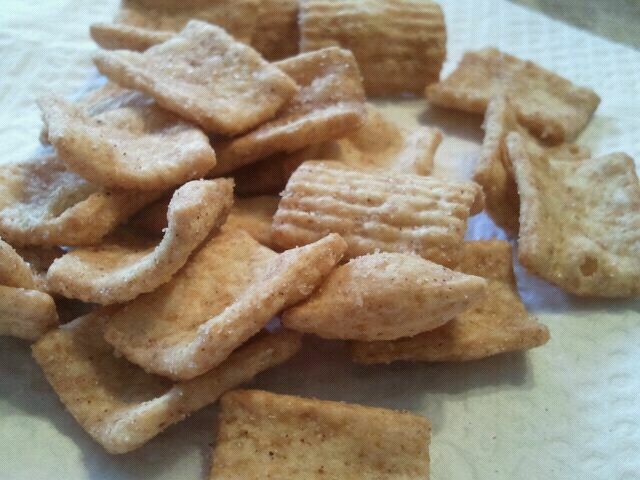 What’s your favorite thing that’s CINNAMON flavored? Ahh, I LOVE new products. 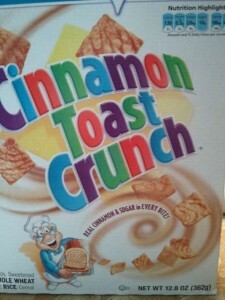 Whenever I see them, I become an instant impulse buyer and put them in my shopping cart. 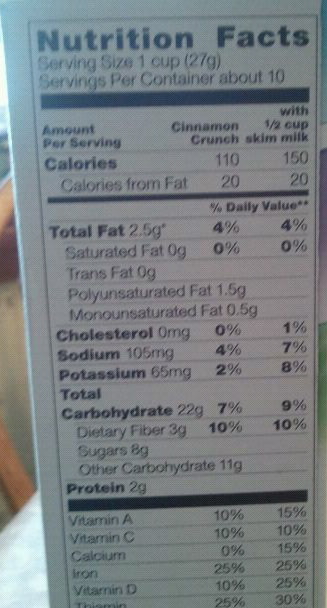 This box of cereal certainly was no exception. When I opened the box, I was a little surprised. 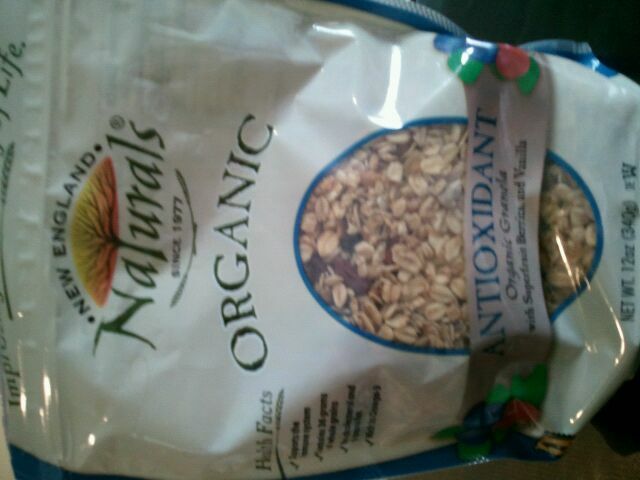 It looks like mostly tiny flakes, with a few pieces of oats thrown in. 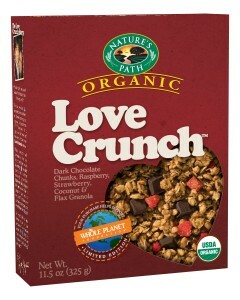 Granola or oat clusters happen to be my favorite parts of cereal, so I was a bit bummed out. 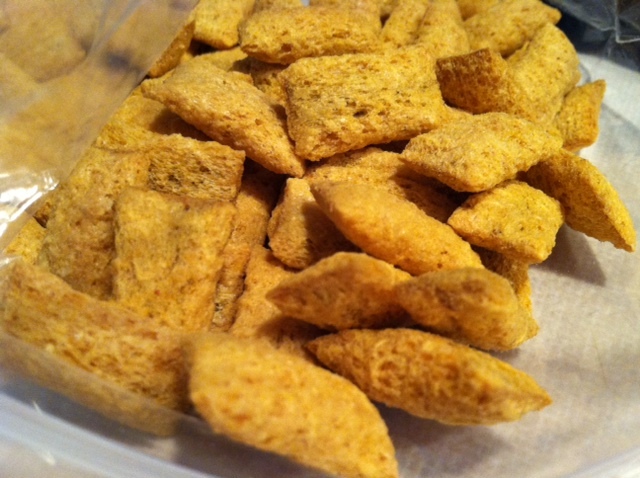 The flakes were kind of airy, slight honey flavor, and I could certainly tell it was a wheat flake. 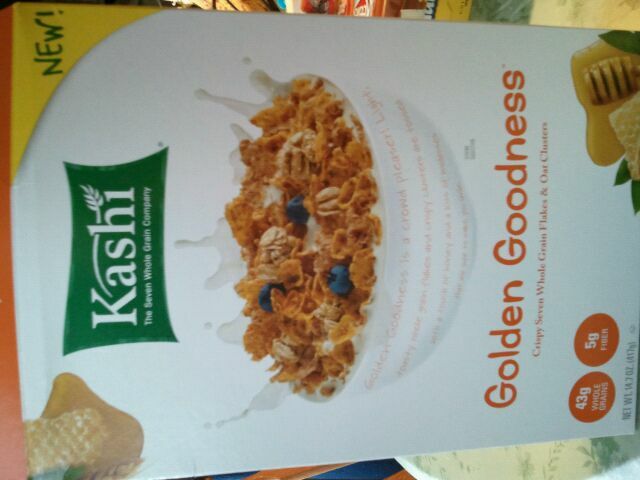 It had that nutty after taste to it that I notice with wheat products. 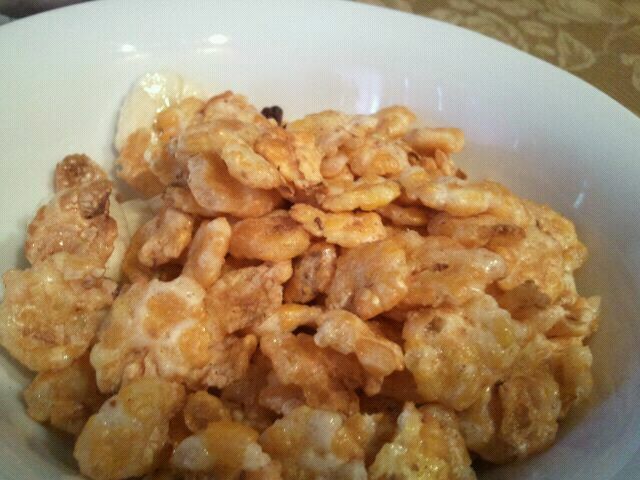 The oat clusters were, of course, the best part. Sweet, crunchy, slight honey/vanilla flavor. I wish there was more of them, and I wish they were BIGGER! One thing I did love- the PORTION size! 1 1/4 cups! 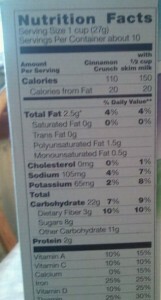 I hate when cereals have anything less than a 1 cup serving. 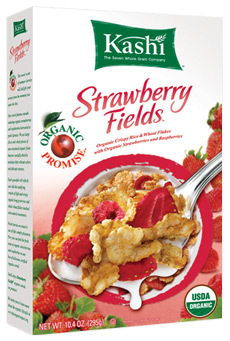 I’m a cereal girl- and I like to munch on a lot with fruit and milk for a perfect breakfast 🙂 There’s also 43 grams of whole grain per serving according to the box, and 5 grams of fiber. I’d say this is a 4 star rating for me! 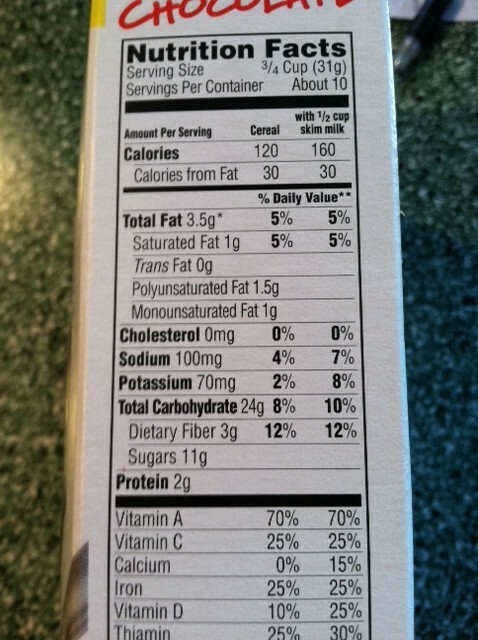 1 1/4 cups is 210 calories, 1.5 grams of fat, 49 grams of carbohydrates, 5 grams of fiber, 9 grams of sugar, and 6 grams of protein. 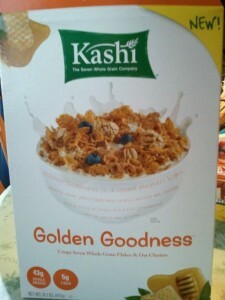 What’s your favorite Kashi product? 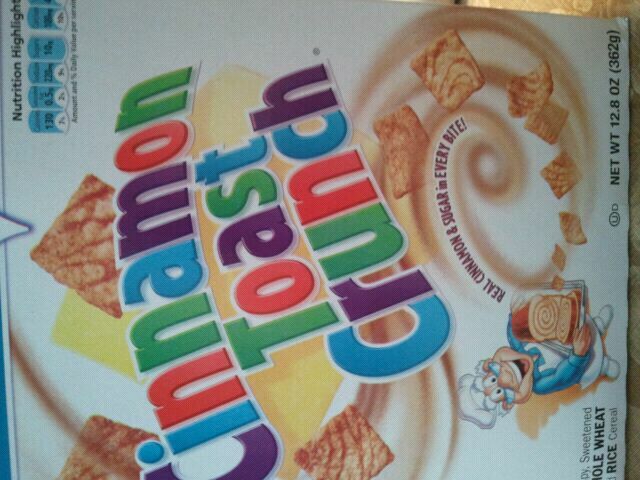 Nothing like a good bowl of cereal to start off the day. 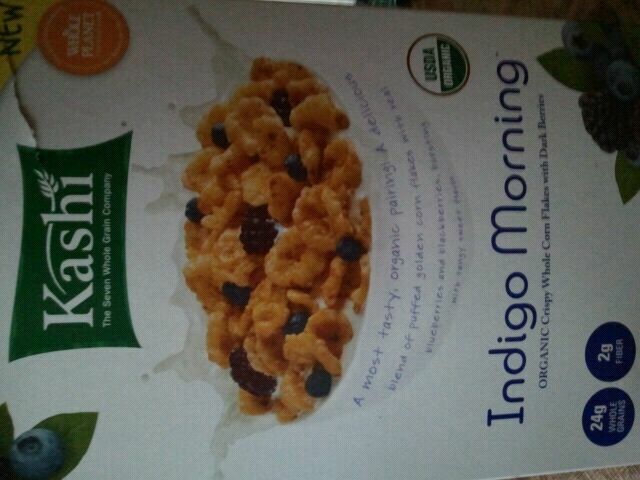 One of my favorite cereals is Kashi Organic Strawberry Fields. 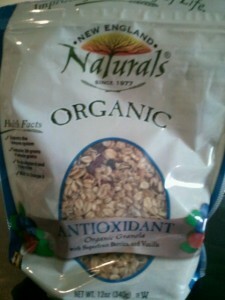 Since I don’t consider it really a whole grain for my consumption of the day since the first ingredient is “Organic Long Grain Rice”, I usually pair it with a whole grain cereal, like Cheerios, and half a banana with some almond milk for breakfast. 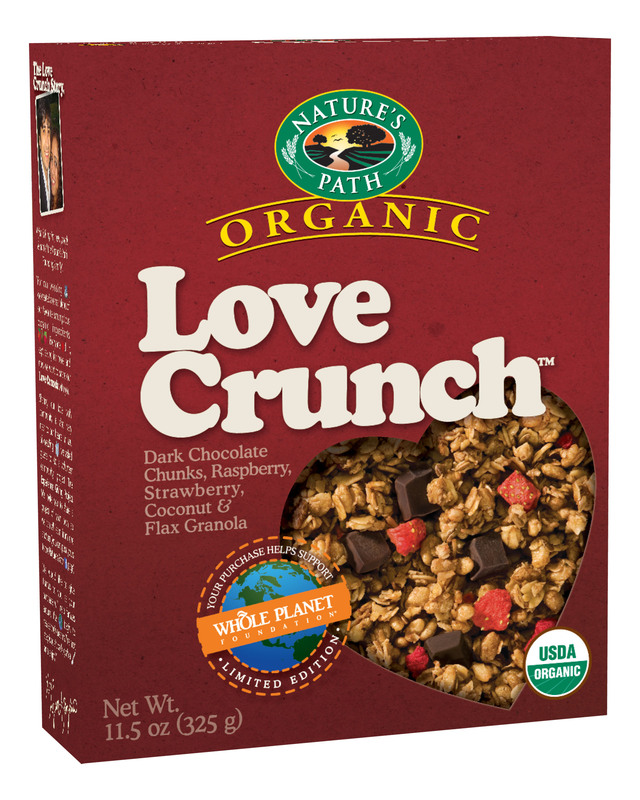 It’s description on the box is “Organic Crispy Rice & Wheat Flakes with Organic Strawberries and Raspberries”, and let me tell you, it is 100% delicious! 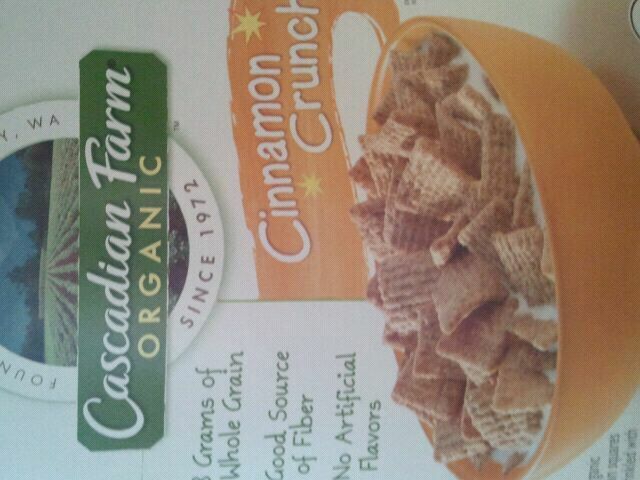 I find each time I buy the box it’s always something different for the shapes of the flakes. One time I got rather small pieces, and the last time I purchased this cereal I got really large flakes. 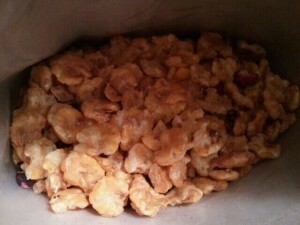 Nonetheless, they are crunchy flakes with a sweet coating and sheen to them, with a bit of strawberry flavor. 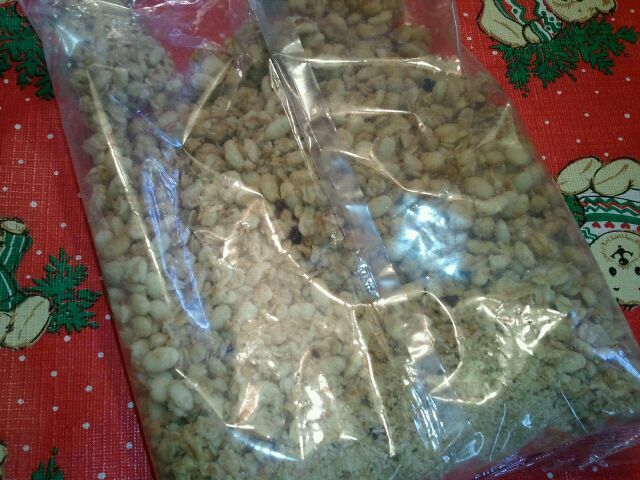 My favorite part, of course, is the freeze-dried strawberries. While I won’t eat the strawberries without having them soak in my almond milk for a while [they can be a bit tart], they plump up quite nicely in the milk and are great. 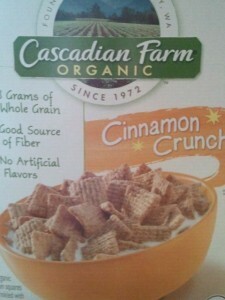 A downfall of this cereal is that sometimes the dried fruit part is not even. I remember once I only got about 4 or 5 freeze dried strawberries in the whole box! I was very disappointed. I also find that there are not a ton of raspberries in the cereal, but that’s okay for me because I prefer strawberries over raspberries anyway. 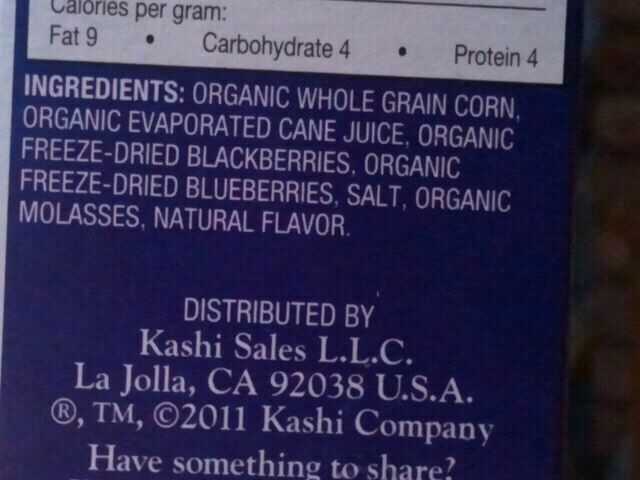 Another thing is that like I said before, the first ingredient is “Organic Long Grain Rice”, although there is “Organic Whole Wheat” as the 3rd ingredient, but not enough to make this count as a whole grain serving for me for my day. But it’s too delicious to pass up on. Sweet, crunchy, and just perfect in milk, or straight from the box. Overall, I give this 4 1/2 stars. One of my favorites! 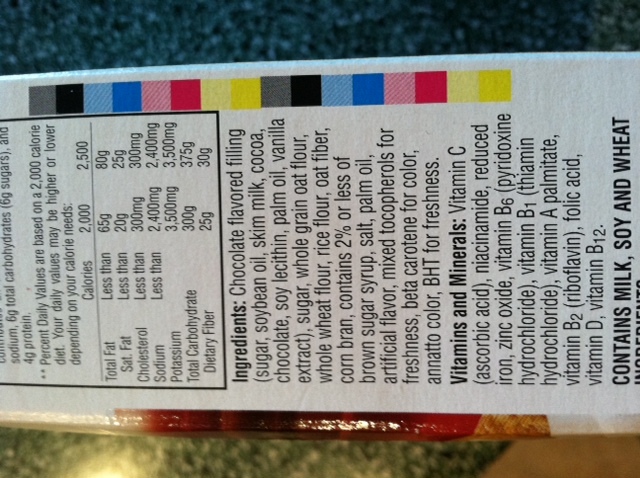 I love that it’s organic, delicious, and only 9 grams of sugar per 1 cup (32 grams) serving. 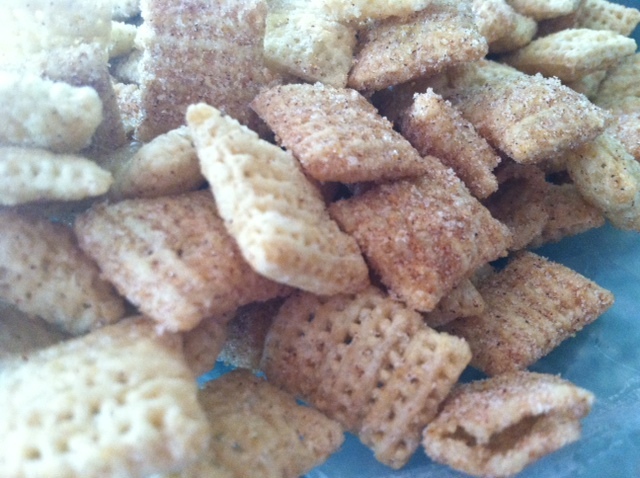 What’s your FAVORITE cereal to eat for breakfast? 1 cup (32 grams) is 120 calories, 0 grams of fat, 28 grams of carbohydrates, 1 gram of fiber, 9 grams of sugar, and 2 grams of protein.